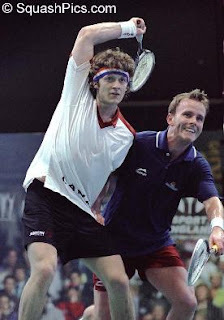 The Telegraph's squash page continues to beef up its content ahead of the Hi-Tec World Squash Championships, with a nice gallery of men's World Open past winners up on the site. Have a browse back down the years and see such great champions as Nicol and Power (right) here. Now how about the women?